In stock -This product will ship today if ordered within the next 6 hours and 29 minutes. 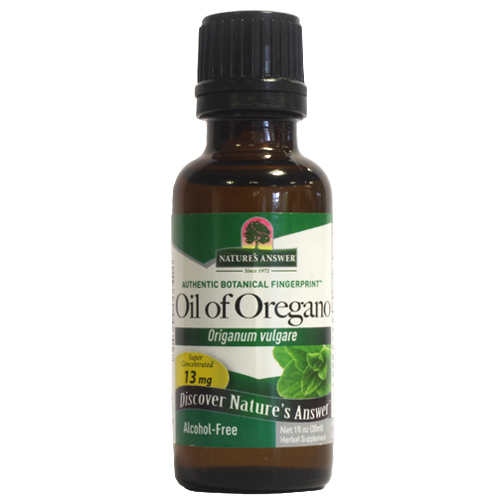 Nature`s Answer Oil of Oregano is an alcohol-free, kosher extract which promotes a healthy immune system, offering 13mg per serving. Internal: As a dietary supplement take 0.17ml (4 drops) 3 times a day in a small amount of water. External: Apply liberally up to 3 times a day. Below are reviews of Nature`s Answer Oil of Oregano - 30ml by bodykind customers. If you have tried this product we'd love to hear what you think so please leave a review. Oregano oil is anti-inflammatory and anti-bacterial so I bought this product to use on inflammation of the gums. I soak the cotton on the end of a cotton bud and rub it onto the inflamed gum. It works extraordinarily well and I can highly recommend.